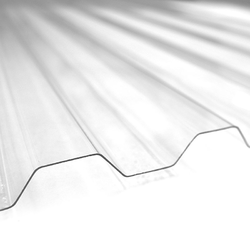 In our extensive range of products, we are offering our clients a broad assortment of Polycarbonate Sheets. These products are largely used in domestic as well as commercial buildings in various segments like roof, floor and exterior walls and are appreciated for their design versatility, environment friendliness and dimension stability. "We are looking for enquries from Central India, mainly from Maharashtra, Rajasthan, Chhattisgarh, Andhra Pradesh, Madhya Pradesh & Orissa." 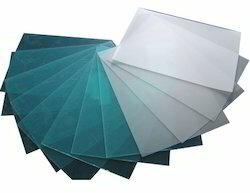 Lexan polycarbonate sheet is one of the most widely used and appreciated quality products of our company which we are not only manufacturing but also are engaged in the distribution and providing the services for their installation in each and every part of the country and also in several other countries also. We have used most appropriate quality raw materials for the manufacture of these Lexan polycarbonate sheets and hence these are very sturdy and strong to last long for years. These Lexan polycarbonate sheets are of very much use in making glazing, cladding, shades, car parking etc. Solid Compact Polycarbonate Sheet available in varient colours & sizes. Solid Embossed Polycarbonate Textured Sheets with UltraViolet Coated. Multiwall Polycarbonate Sheets with a high quality of ultraviolet resistance, solar control, weather ability. The products are available in different thickness, sizes & colours. 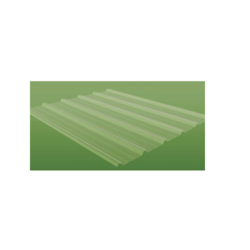 We are a recognized name in supplying our customers with an extensive gamut of Polycarbonate Sheets. These are used for Industrial Sky Lights and North-Light Glazing to provide daylight solutions in Industrial and Commercial Structures. For its ability to provide a clear daylight through, this is commonly used in various industrial and commercial structures. Economical maintenance free: These polycarbonate profile sheets provides direct natural light into a building, with clear polycarbonate providing light transmission, thus saving electricity. To allow solar control tinted sheet options are available. UV Protection: Lexan Polycarbonate sheet has proprietary UV protected surfaces, giving excellent durability to outdoor weathering. This superior UV resistance and toughness of Lexan Polycarbonate sheet are well proven by its performance for so many years. Fire Performance: Lexan Polycarbonate Sheet has a good fire performance against many national fire codes dependant on thickness and colour. It exhibits excellent fire performance and in the event of a fire it will soften and open, allowing smoke, heat and gases produced by the fire to escape. This ‘venting’ property means that damage to buildings can be limited. High Impact Strength: It has exceptional impact resistant properties making it suitable for use in areas with a high risk of glazing breakage, such as areas prone to heavy storms. The shatter resistance of the sheet is stronger than glass. Thicker sheet options are available to provide greater strength where required. Light Transmission: Transparent Lexan Polycarbonate sheet has an excellent light transmission. However, for buildings in hot climates or with south facing aspects, Lexan Polycarbonate sheet is available in translucent bronze, grey and opal white. Lexan Polycarbonate sheet is essentially opaque to all wavelengths. This useful shielding property can prevent discolouration of sensitive materials placed under or behind Lexan Polycarbonate sheet. Design Flexibility: Lexan Polycarbonate sheet can be easily cold formed into gentle curves which make it ideal for skylights, covered walkways, barrel vaults etc. Lexan Polycarbonate is thermoformable and can be thermoformed into the desired geometry whilst retaining the UV resistant coating specially developed for weather resistant applications. 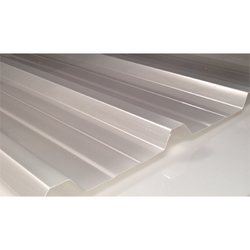 We are offering a wide range of Textured or Embossed Polycarbonate Sheets. These sheets are made from a very high-quality raw material which ensures high durability at its user end. Available in frost, diamond, prism and other decorative and functional textures. 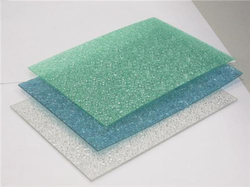 Except for the superior properties of polycarbonate solid sheets, their special textures make them widely used in applications of indoor decoration and partition, architectural glazing, advertising, lighting and etc. 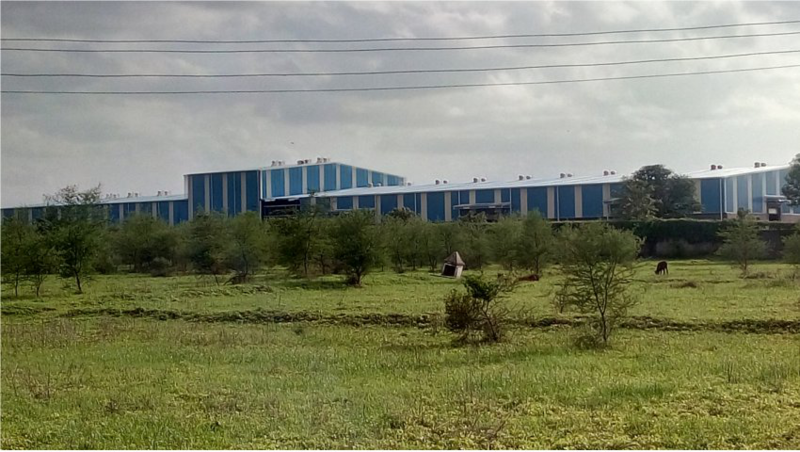 Owing to the sprawling infrastructure, we have been successful in catering to the variegated requirements of the customers by providing them with Transparent Polycarbonate Sheets. Manufactured in adherence with the highest benchmarks of quality, these sheets are available in various sizes and shapes as per the details given by clients. Further, our offered sheets are inspected on various stages to ensure flawlessness. We are engaged in manufacturing Profiled Polycarbonate Sheets which are very helpful in reducing the heat. This product can be availed in various sizes, colors and shapes and gives excellent results. We also manufacture this product as per the clients' need and demand.